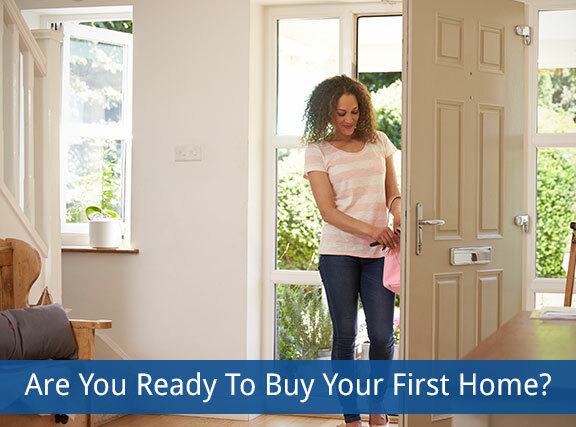 Are you stuck on the fence wondering if you’re ready to buy your first home? Right now is an opportune time to purchase a home. Not only is the housing market swinging into gear, but rates are at a one year low. You read that correctly – the rates available now are lower than they have been in a whole year. That being said, deciding to purchase a home is a major commitment. There are many financial and lifestyle factors that influence this decision and we cannot stress enough to not take the decision lightly. If you think you might be ready to buy your first home, keep reading for some of the most important factors to consider. If rent in your area is steadily increasing, it may be a smarter financial decision to purchase a home. Not only would you possibly end up paying less per month, but you would also be gaining equity. Do you have a stable career and income? Needless to say, it would be silly to consider purchasing a home if you aren’t financially stable. If you can predict your income for the next 7-10 years, you are most likely financially prepared to purchase a home. Most lenders require 30 days of paystubs to approve you for a loan. Can you predict your housing needs for the foreseeable future? Your housing needs can vary from one year to the next. Before deciding to buy your first home, consider the ways in which your housing needs may change and account for them in the home you decide to purchase. Your home shouldn’t just accommodate your needs at the moment, but for the next 5-10 years. Are you ready for additional responsibilities? Many people don’t consider the additional responsibilities that arise with homeownership. If you currently live in a rental, you most likely call your landlord every time something breaks. Needless to say, when you own a home, there is no landlord to run to. You must be able to absorb the costs of repairs in addition to your monthly mortgage payment. You have an emergency fund saved. You’ve saved for a down payment. If you’re ready to purchase your first home, please give us a call at 402-991-5153 with any questions or fill out our online application!